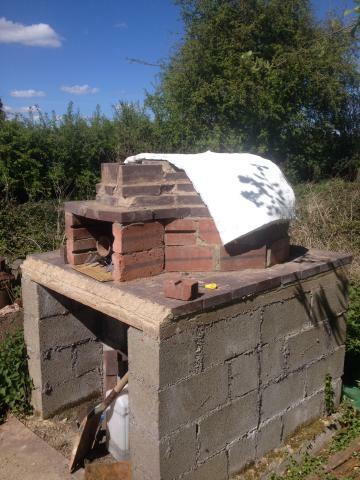 Posted: Wed Jun 11, 14 8:35 pm Post subject: Re: Pizza oven. These have moved and I wanted to update the link. One day you might need one of these. One day. Indeed. 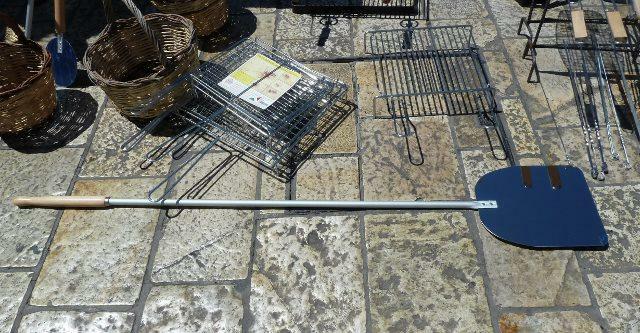 I thought id just won a set on ebay but it turns out it's had been sold elsewhere. My Favorite aunt told me to always write your to do list on a wall you would like painting! Obviously, this was finished years ago. No project could take this long. However, I've, erm, only just found my camera. Or something. Following construction of a 4 inch concrete base, complete with steel bars for strength and a nuclear proof block stand, I poured concrete, again with steel, onto some ply shuttering. 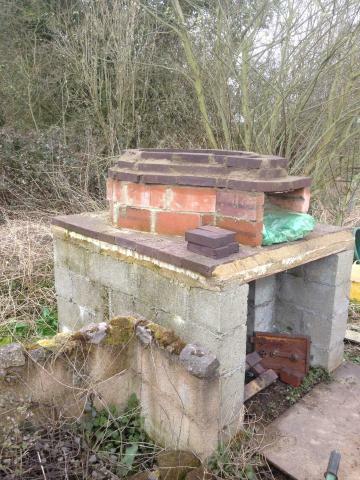 The top was levelled, and thermal blocks from storage heaters create a platform for the oven to rest on. They also form the floor of the oven. More, similar blocks are used to create the walls of the oven, and then wood supports were put in as more blocks started to create the dome. You can just about see them here. Then, the expensive part of the build was a ceramic kiln blanket. This is laid over the top and provides massive insulation. It's about an inch thick and keeps the heat in. After the blanket, I put a couple of inches of concrete mixed with vermiculite over the whole dome, and then rendered with regular concrete. The door is cast iron, and came from an old oven, or similar, and just serves to keep the heat in. 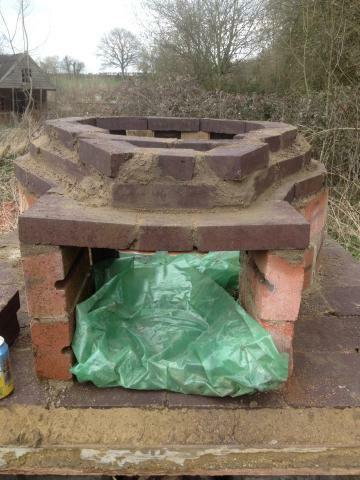 It allows plenty of airflow and heat, smoke and waste gas shoots up the chimney. 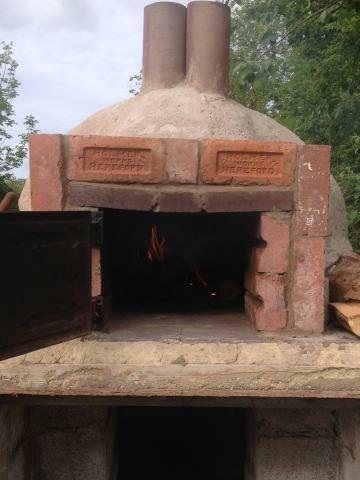 I lit a fire every day, starting with a tiny one, moving up to a full scale one over a period of a week to dry the oven out, once it had been standing, complete, for a week or so. A thin pizza gets a crispy, smoky base and bubbly cheese in under two minutes. Looking good. I like the way that the background of the photos shows the passing of (a lot of) time. I photoshopped that. Whole project took a couple of hours, tops. Is this what we're doing when you stay at ours? You can do as you please. I shall be chatting to your wife, and filling your kids with sweets, as normal. Actually, the base and blocks went in years (4?) ago, before the garage burnt down, but the first photo here is April 4th, this year, and the outer coat went on on May 3rd, so a month to build, once I laid the first oven brick. That's really fast for me. Crucial geekiness for running an efficient pizza oven. We used an IR thermometer to check the heat on our pit roast, 352C before we stuck the meat in and covered.